After a full year of planning, the new lobby Museum and Honor Wall project is now complete. Under this special initiative, a new 3-dimensional 10' tall wall display was installed to honor the ultimate sacrifice of those who gave their lives in the line of duty. Additionally, a new multi-section museum quality exhibit was constructed in the main lobby. 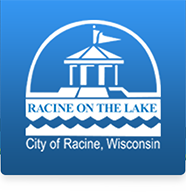 Though phtos, videos, and a number of historical artifacts, the rich history of the Racine Police Department is now on display for all to enjoy.